Do you find yourself endlessly worrying about the smallest work-related details? Find it hard to switch off from work? And feel like you are losing an endless battle between your work-life balance? Don’t worry you’re not alone. According to the Professional Convention Management Association (PCMA) 38% of employee’s state they have missed significant life events due to poor work-life balance. Furthermore, the Health and Safety Executive (HSE) found that stress accounted for 35% of all work-related ill health in 2014/15. The result of not being able to maintain a positive work-life balance may bring forth an increased likelihood of fatigue, potential physical and mental health problems, which together may result in poorer performance and a decline in productivity. 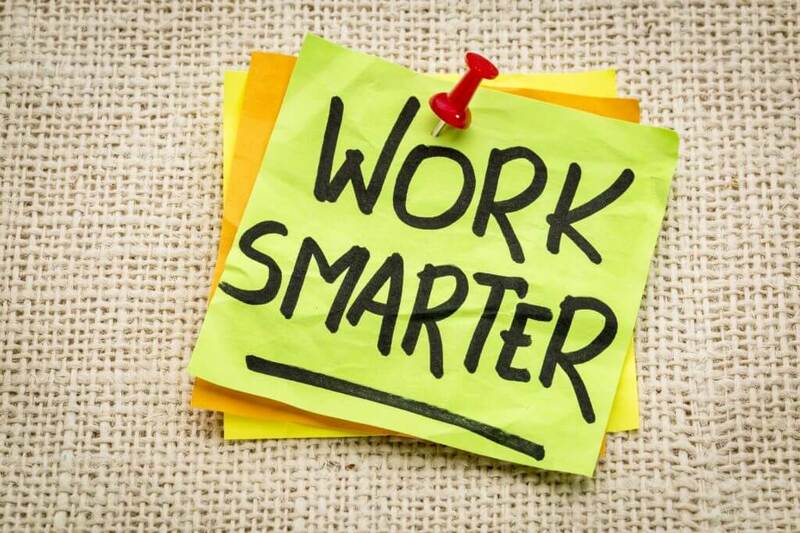 Whilst there is not a one size fits all approach to solving the work-life balance conundrum, there are steps you and your employees can take to work smarter and not longer. We are constantly bombarded by multiple tasks and projects, an influx of emails and a never ending flurry of phone calls. The sheer thought of this can send a shiver down our spines, yet it is the reality of a modern business. It is easy to become overwhelmed by the magnitude of tasks we have to complete daily, but with that being said we often burden ourselves more than we actually need to. When faced with multiple and competing projects, try putting together a calendar of each project and the tasks within it. Label each task with a priority level including the date it needs to be completed by. Once you have completed each task, tick it off the list. This will help you feel more organised and less stressed as you can see your level of productivity and achievement in front of you. If you find that you or your staff are struggling with their workloads, encourage them to delegate and work collaboratively. Sometimes we get requests flying in from all different areas of the business and for one person this can be rather difficult to handle. Learning the art of delegation is key to a successful work-life balance. Not only will delegation help free up some time to focus on key projects, but it also shows those around you (employees and/or colleagues) that you trust them and their abilities to complete a project. The ability to take a break whilst at work is paramount to reducing stress levels. It is important to note that taking a lunch doesn’t mean having a sandwich at your desk, but physically getting up and taking time away from your workstation. Take the time to refuel your body and replenish your mind. It’s a great way to recharge your batteries and come back to your work in the afternoon more focussed and with a new sense of clarity. Emails are one of the biggest annoyances for many professionals. They arrive in your inbox thick and fast, taking hours out of your day, often making you less productive as a result. Whilst emails can be an important part of keeping in touch with external stakeholders, try to keep emails between colleagues or departments to a minimum. Using the phone is a much easier and faster way to connect with someone and collate information, particularly if it is a complex or lengthy issue. Another way to keep your time spent emailing to a minimum is to designate certain times of the day where you will check and answer any emails. This will help you feel more organised, whilst providing with an opportunity to deal with other often more pressing issues or tasks. Emails will continue to be an important part of communication for the foreseeable future, however learning how to monitor and restrict the amount of time spent with your emails will help prevent these from becoming a burden to the way your work and your levels of productivity.